Balwin Edmonton real estate has had a few strong quarters where the average sale price exceeded or was very close to the Edmonton average. The interesting pattern in Balwin is that the last 1/2 of the year was when the Balwin average selling price per square foot was at it's strongest. 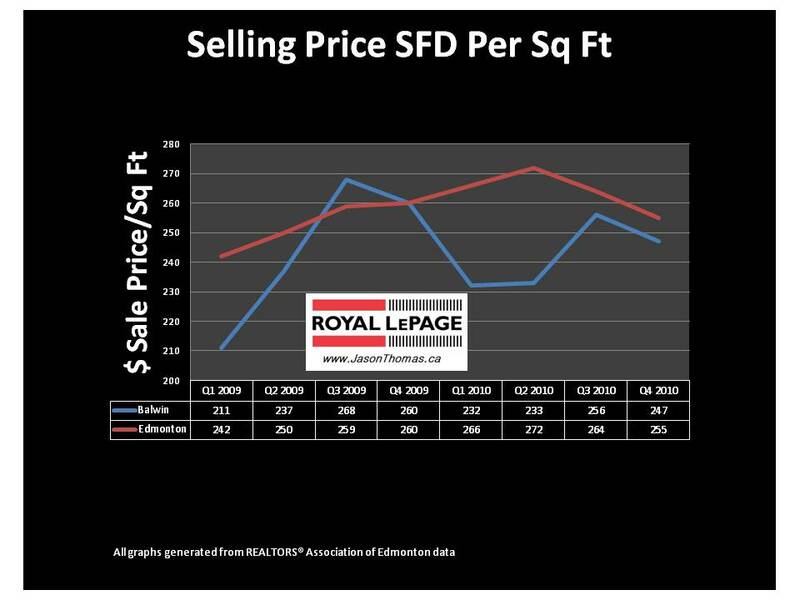 The Edmonton market tends to flatten or fall during the last 2 quarters of the year on an average sold price basis. For more detailed MLS® sold data on the Balwin real estate market and other Edmonton neighbourhoods.